There is one good way to describe this wonder of nature—“majestic”. The Alalum Falls is about 148 feet high, a feat that will surely have you gazing in amazement. While your trip to get there might be long, your arrival there and the adventures you will have are definitely worth it. Other than a stunning white-sand beach, Pagudpud is also known for another highlight: the Kabigan Falls. These beautiful waterfalls are approximately 87 feet high and are known for forming a natural pool for visitors to swim in and have a relaxing time. Hidden in lush green rainforest, the Kawasan Falls will take you half an hour hike in the mountains of Badian to get to its first stage of waterfalls. It is without a doubt that its perfect natural surroundings and turquoise waters are going to fascinate you if you love such natural formations. When you arrive, you can take the bamboo float to go beneath the waterfall on the first level and can hike to the second and third levels and experience a different ambiance. 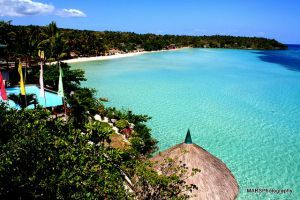 This is definitely a must-visit place in the south of Cebu. Iligan got its nickname, “City of Majestic Waterfalls”, from Tinago Falls. Having crystal-clear blue waters, the grand and impressive waterfalls are understandably one of the main tourist attractions in the region. Also located in Iligan City, the Maria Christina Falls is separated by a rock at the brink of its waterfall, thus being known as the “twin falls”. At about a height of 320 feet, this Agus River waterfall is one of tallest in the Philippines and is also the main source of electric power in the area. One of the Philippines’ most popular waterfalls, the Pagsanjan Falls can be reached by taking a canoe on the river or by hiking from Cavinti. It is a three-drop waterfall that is well-known for its grandeur, which has attributed to the site becoming a popular tourist attraction in the province. As the name suggests, these are seven incredible waterfalls that you can experience, swim in and enjoy. If you have the courage, you can try the zip line adventure through the falls. The thrill of the ride and the beauty of the surrounding will surely take your breath away. Now, what are you waiting for? 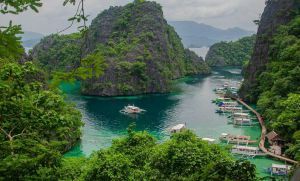 Pack up your bags and enjoy visiting these wonderful places in the Philippines!